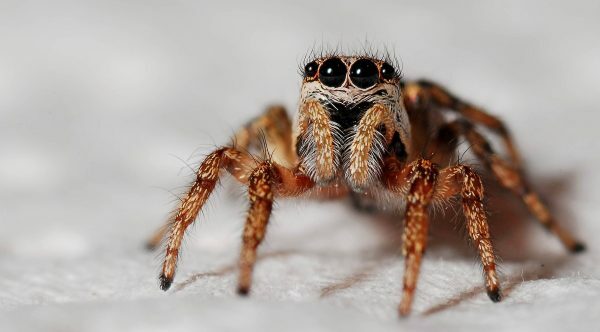 The poster contains over 130 different species from 34 different genera and almost 140 images in total. 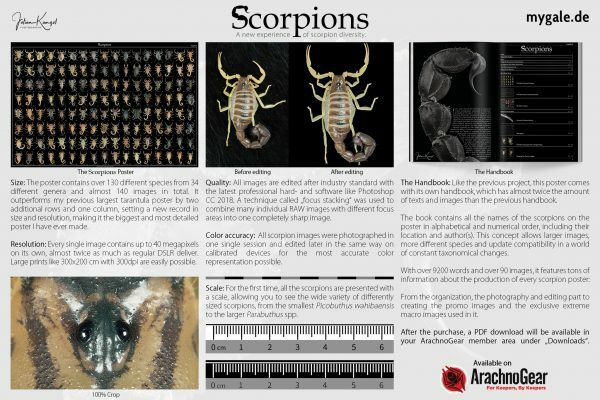 It sets a new record in size and resolution, making it the biggest and most detailed scorpion poster ever made. For the first time, all the scorpions are presented with a scale, allowing you to see the wide variety of differently sized scorpions, from the smallest Picobuthus wahibaensis to the larger Parabuthus spp. All scorpion images were photographed in one single session and edited later in the same way on calibrated devices, for the most accurate color representation possible. 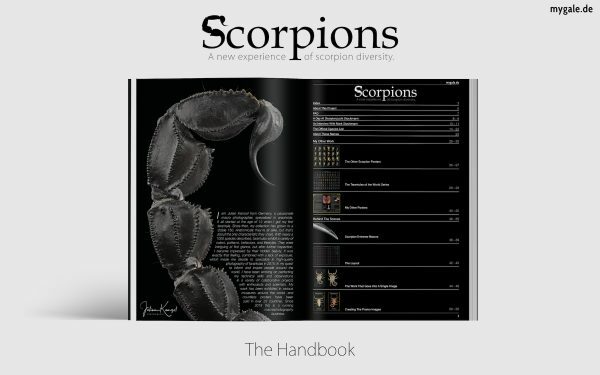 “My latest and newest project ‘Scorpions – A new experience of scorpion diversity’ was released on May 1st, 2018. It’s my biggest and most ambitious project ever. This project was a close cooperation with the renowned German scorpion breeder Mark Stockmann from Skorpionzucht Stockmann. 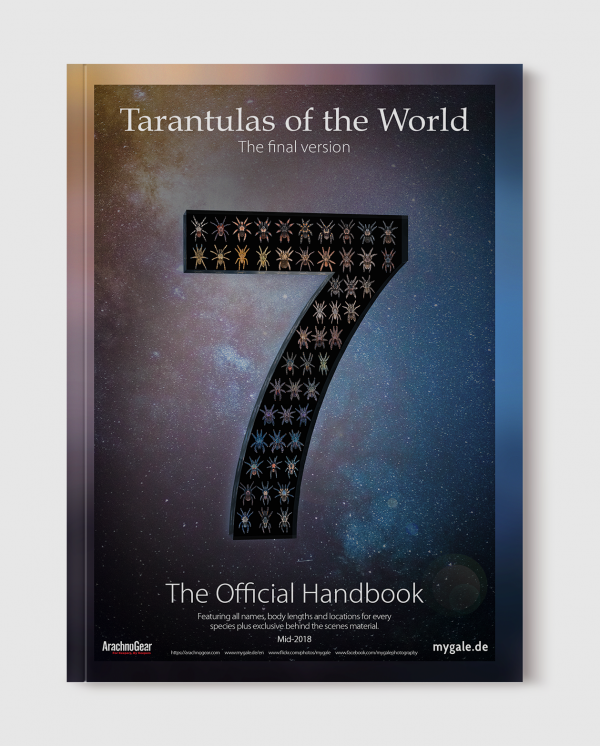 Unlike the “Tarantulas of the World” (TOTW) poster series which was created during 2015 – 2017, and frequently updated, again and again – was this scorpion poster, together with three other scorpion posters, created within only two months of full-time work. The poster contains over 130 different species from 34 different genera and almost 140 images in total. It outperforms my previous largest tarantula poster by two additional rows and one column, setting a new record in size and resolution, making it the biggest and most detailed scorpion poster I’ve ever made. 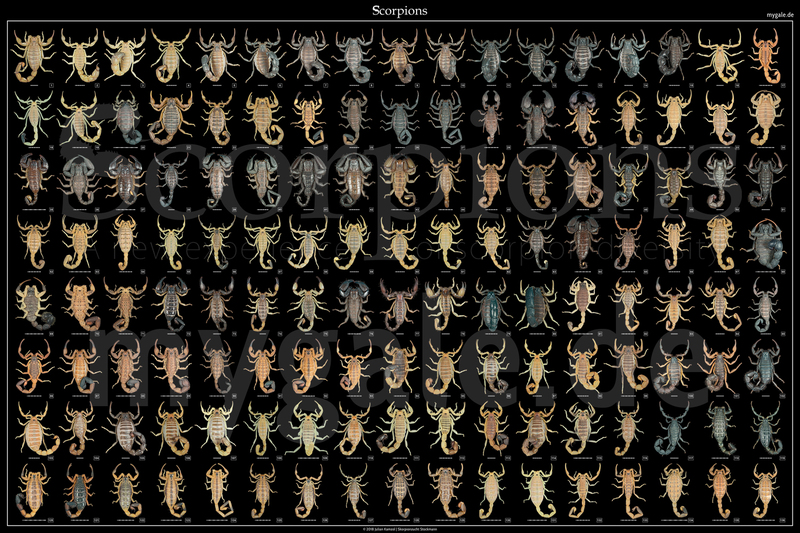 For the first time, all the scorpions are presented with a scale, allowing you to see the wide variety of differently sized scorpions, from the smallest Picobuthus wahibaensis to the larger Parabuthus spp. All scorpion images were photographed in one single session and edited later in the same way on calibrated devices, for the most accurate color representation possible. 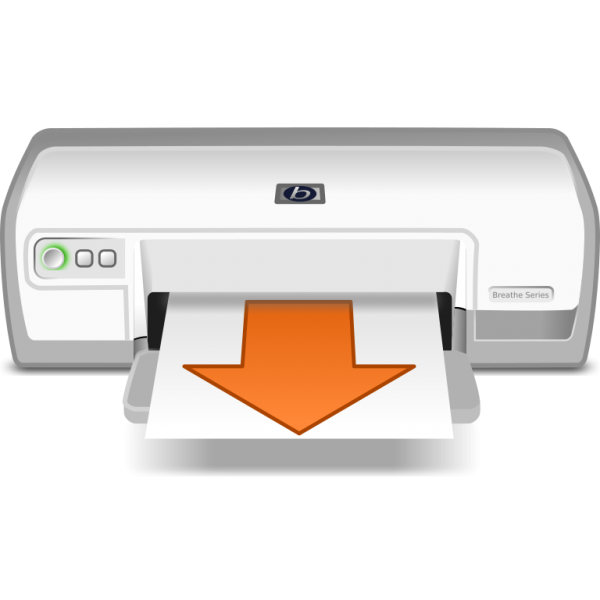 Like the previous “TOTW” project, this poster comes with its own book in PDF format again, which has almost twice the amount of texts and images than the previous book!